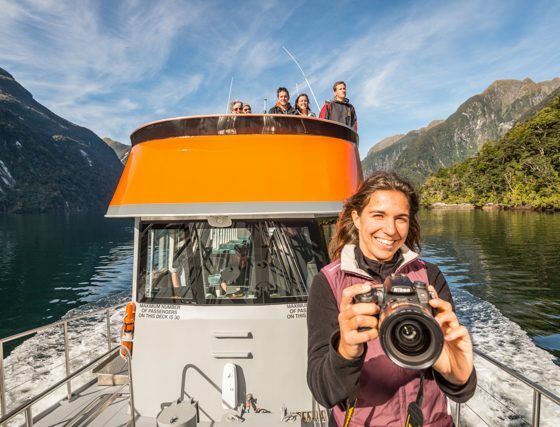 Get off the grid with Go Orange to Doubtful Sound a full day experience which will take you to an untouched world of spectacular mountains and dramatic landscapes and is also home to some of New Zealand’s unique birds, seals and on occasion dolphins, whales, and the very rare Fiordland Crested Penguin. 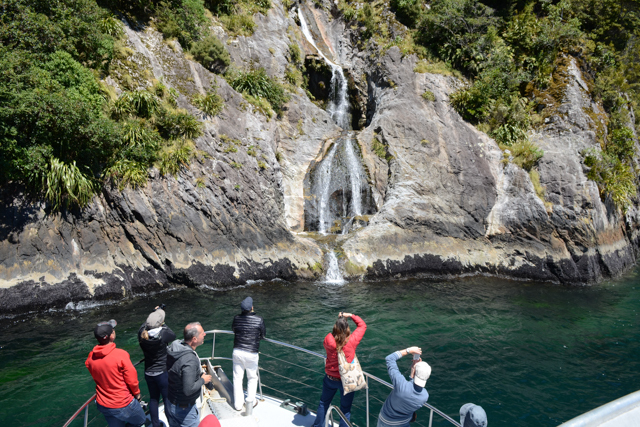 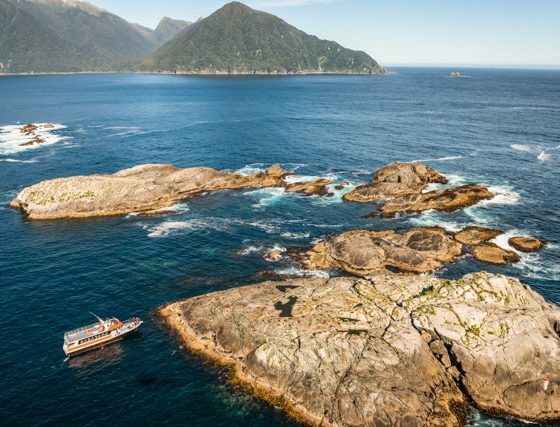 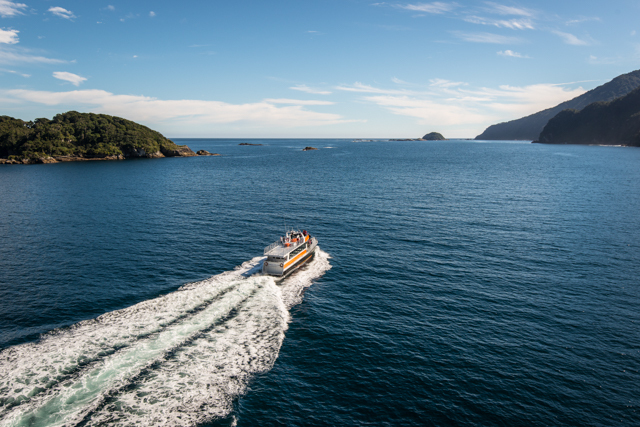 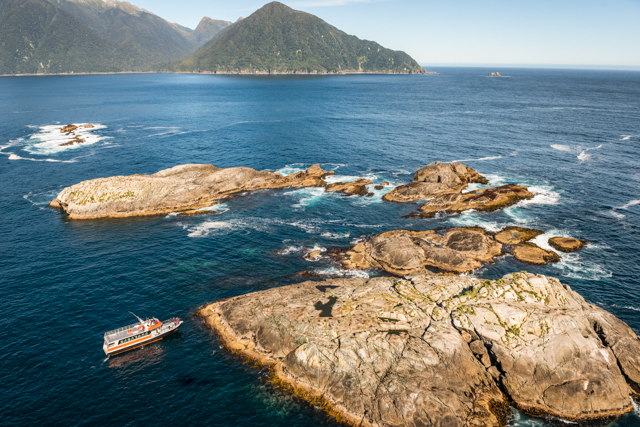 With a maximum capacity of 45 passengers, our Doubtful Sound day cruise is offering the only small-boat day cruise in this remote fiord. 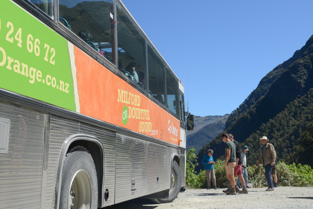 So leave this fast-paced world behind and have a true wilderness experience on a scale you won’t believe! 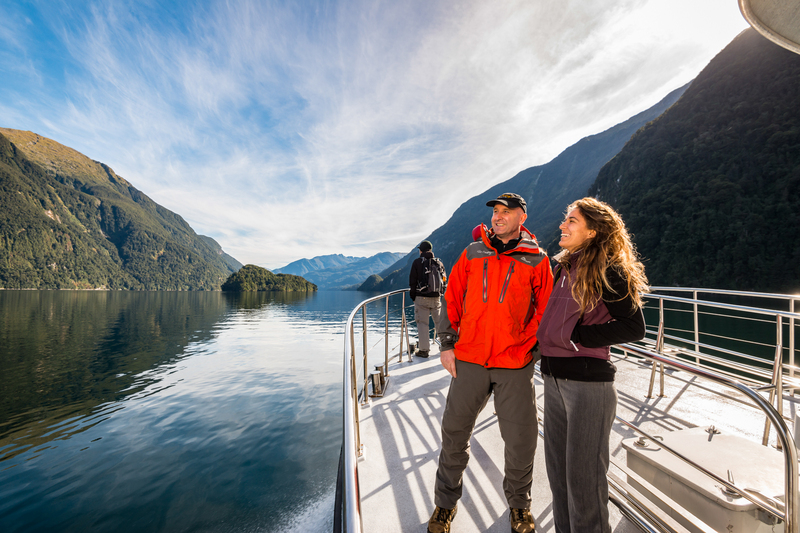 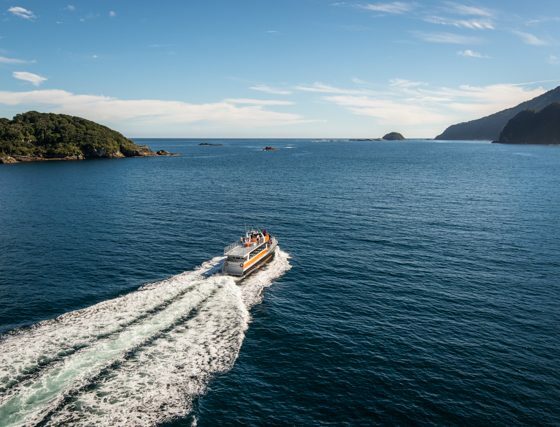 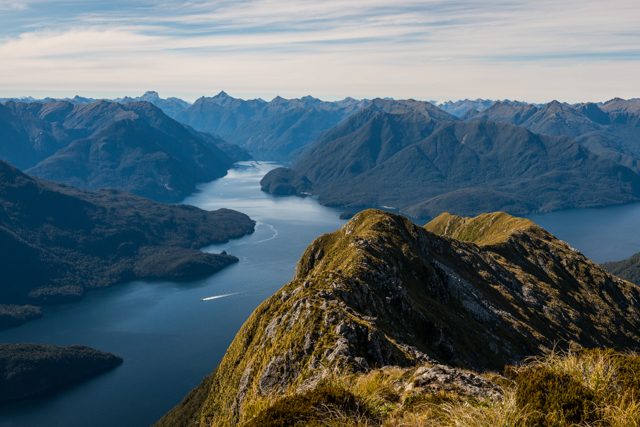 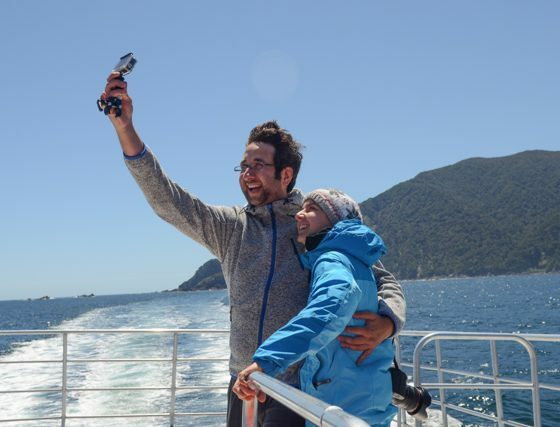 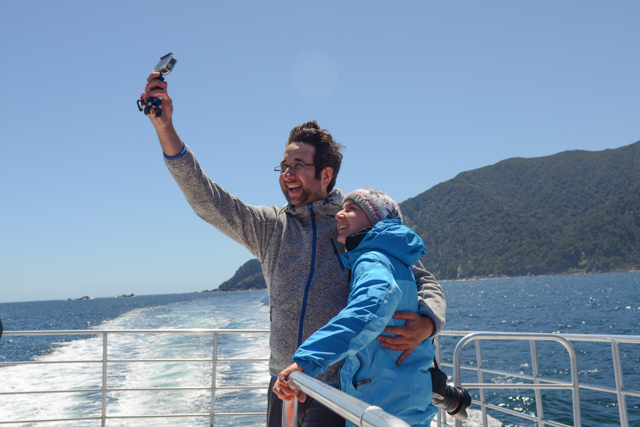 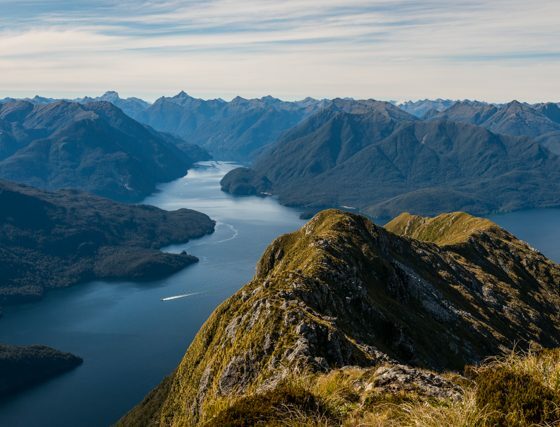 Begin your Adventure with a 30km cruise across beautiful Lake Manapouri, the 2nd deepest lake in NZ, before crossing the Southern Alps via the spectacular 22km drive over the Wilmot Pass Road into Deep Cove, Doubtful Sound, stopping at all our favourite photo stops along the way. 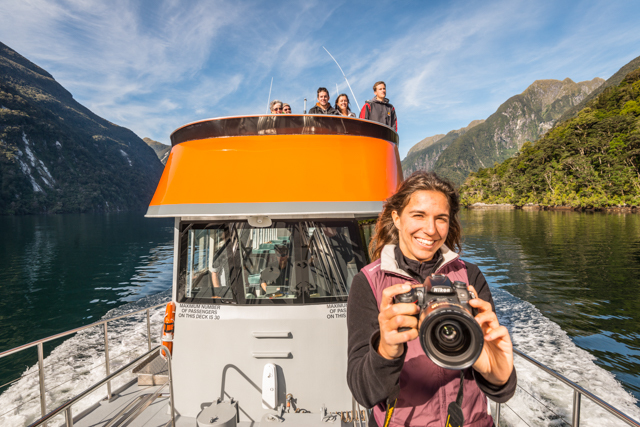 Onboard our well-appointed vessel the Tasman Explorer spend the next 3hrs leisurely exploring the waterways of Doubtful Sound. 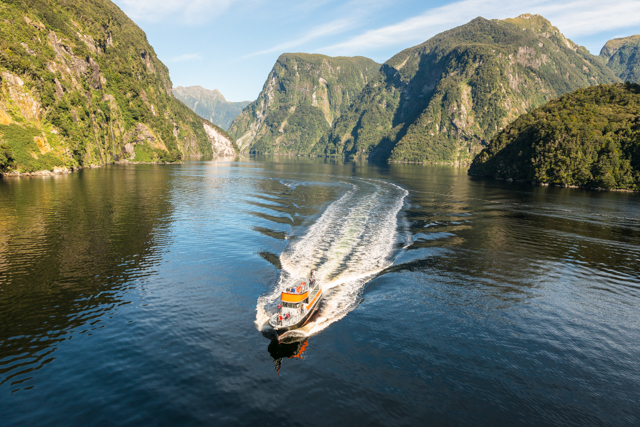 The isolation of this place makes the fiord a very unique place few people get to experience. 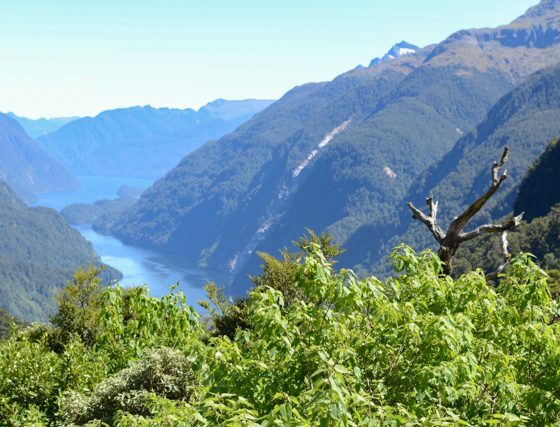 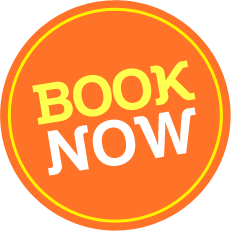 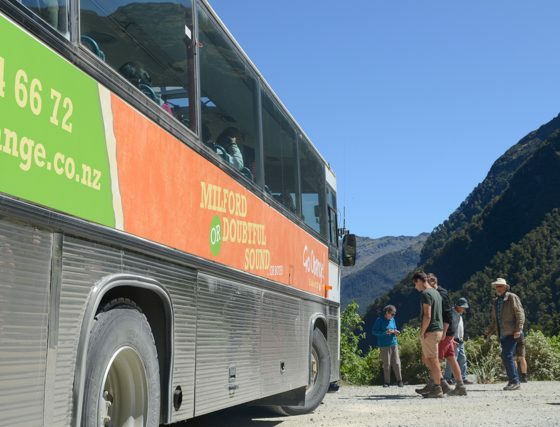 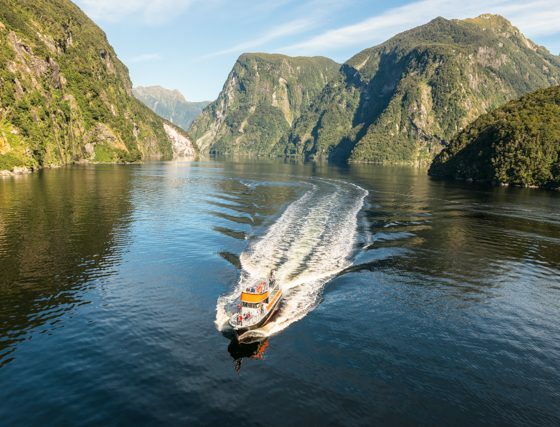 With small group sizes there is plenty of viewing space to take in the rugged mountains, dense sub-tropical rain forests , waterfalls, glacier-shaped valleys and the pristine waterways of Fiordland. 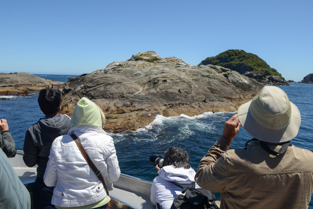 Wildlife, such as penguins, dolphins, seals & sea birds, while not guaranteed, are often sighted during the cruise and offer privileged photo opportunities. 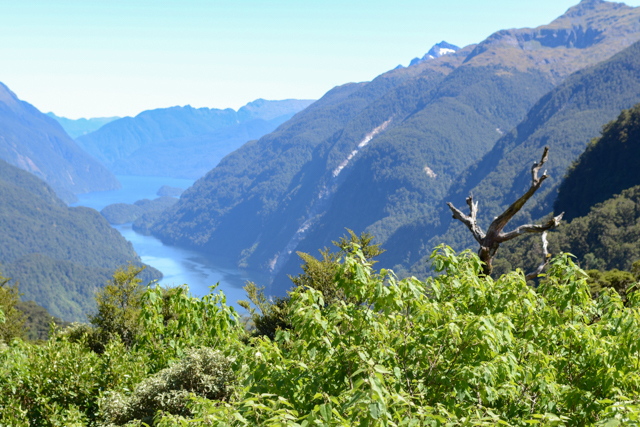 The isolation of this place makes the fiord a very unique place few people get to experience. 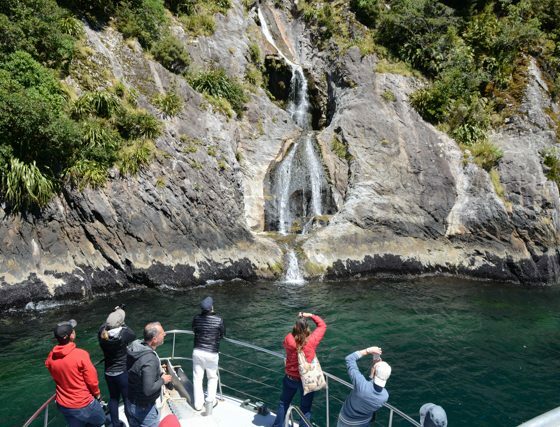 Doubtful Sound is also home to some of New Zealand’s unique birds, seals and on occasion dolphins, whales, and the very rare Fiordland Crested Penguin visit the sound providing privileged photo opportunities – which you can capture on your iPhone, iPod, pad, instagram and upload, post, send, tweet, pin, blog and email to your heart’s content when back in the land of cellphone towers!